Auto Barn sells a variety of automotive interior lighting to add to or improve on the current lighting you have, with items such as interior car led lights or mood lighting of varying colors or styles, led portable lighting (great for your car, home or when outdoors) by Brinkmann or Sylvania, map lights, or lighting that attaches to your dashboard. Click here to read more! 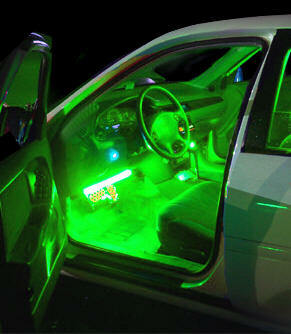 Have you put a ton of work into the outside of your car, but want the inside to reflect that style a little more? 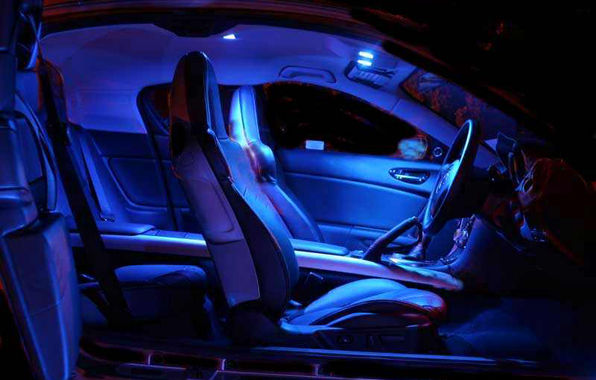 Auto Barn carries a huge selection of interior LED lighting to give your vehicle's interior a beautiful light setup that will surely compliment the exterior lighting or even just the color of the vehicle.